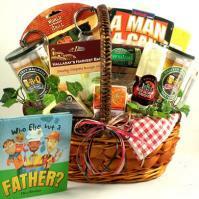 Adorable Gift Baskets delivers gifts to Syracuse, NY and and the state of New York. Send gift boxes, care packages, surprise gifts, roses, plants, bouquets and all occasion presents to Syracuse, New York. Buy gift baskets, gifts, flowers, fruit and presents for friends and family in Syracuse. Shop online for holiday gifts, birthdays, get well, thank you and new babies. Other popular cities we deliver to in New York include Bronx, NY, Brooklyn, NY, Buffalo, NY, Long Island, NY, New York, NY, Rochester, NY, and Manhattan, NY. Send Gift Baskets To Syracuse, New York. Whatever the gift-giving occasion, you'll find beautifully designed gift baskets, gifts, presents, packages and perfect gift ideas for your co-workers, friends, family and those you love. Gift basket themes include such occasions as birthday, get well, new baby, thank you, sympathy, holiday, housewarming, corporate and personal events. Gift basket gifts can include gourmet food, fruit, coffee, tea, chocolates, snacks, cookies, bath and body products, gifts for babies, new moms, co-workers and family. Syracuse, NY got its name from an ancient Sicilian city. A man named John Wilkinson proposed this name because of the similarities between the area and a town in Sicily that was called Siracusa. Both lands featured unique salt-water springs, and both had a town located to the north called Salina! Syracuse, NY is known for being "The City that Salt Built." The city was incorporated in 1848, and the government seat was established in 1861 when the Second Empire Style City Hall was built. In 1889, this building was replaced with the present one, a Richardson Romanesque Style City Hall. Early on, the city's economy was built on the salt industry. However, the building of the Erie Canal and railroads attracted many other industries to the area, including machine shops, gun factories, candle factories, and foundries. The construction of the Erie Canal, which began in 1810, was a significant point in history for Syracuse, NY. It was meant to cut transportation costs, linking New York City to the Great Lakes. It did cut costs once finished, but took 15 years to build. The waterway was completed in 1825, and many prosperous towns popped up along the canal. Today Erie Boulevard is actually part of the canal bed that has been filled in with pavement! It was in the 1850s when more modern buildings began to appear in the city, making for an improved skyline. Before, there were mostly wood-framed buildings. During the early 1900s, the city began to add several parks and landscapes to help beautify the area. Even today these parks add beauty and enjoyment to the neighborhoods. Known for its central positioning at what used to be the Erie Canal, Syracuse, NY is located at the mouth of the Onondaga Valley in Onondaga County. As the county seat, Syracuse, New York has an estimated population of 145,170 as of 2010. In 1933, a shoe company in Syracuse, New York patented the very first loafer. Some famous people who call Syracuse "home" are actor Tom Cruise, author John Berendt and inventor of the dental chair, Milton Waldo Manchett. The 1970s film "Slap Shot" was filmed there as well. In 1941, the nation's first drive-in window was installed at the Merchants bank in Syracuse, NY. Also, the first standardized clothing was invented by Cornelius Tyler Longstreet during the mid-1880s. In 1848, the nation's first Ferris Wheel was constructed in Syracuse for the New York State Fair. While in Syracuse, New York, one can enjoy shopping, dining, or exploring one of the museums such as the Museum of Science and Technology. It features scientific and space-related hands-on exhibits that the entire family will enjoy. It also has an IMAX theater. Another interesting museum to visit is the Erie Canal Museum, where folks can learn all about the historical significance of the Erie Canal and see unique exhibits in an 1850 Weighlock Building. Museum tours are available as well. A great place to take the whole family is the Rosamond Gifford Zoo at Burnet Park. It features spectacular animals such as the African lion, Amur tiger, Fennec fox, red panda, spectacled bear, all sorts of birds and fish, and more! The zoo offers events and fun programs year round, so tourists can enjoy a visit to the zoo no matter when they're in Syracuse, New York. There are plenty other great places to visit such as the Landmark Theatre, Carrier Dome, Mulroy Civic Center and more. To learn more about Syracuse, New York USA visit the city's official Web site.